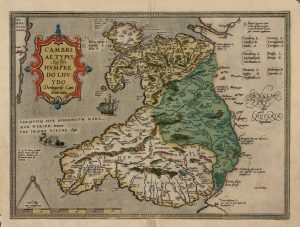 This is the first map that shows Wales as a separate country. 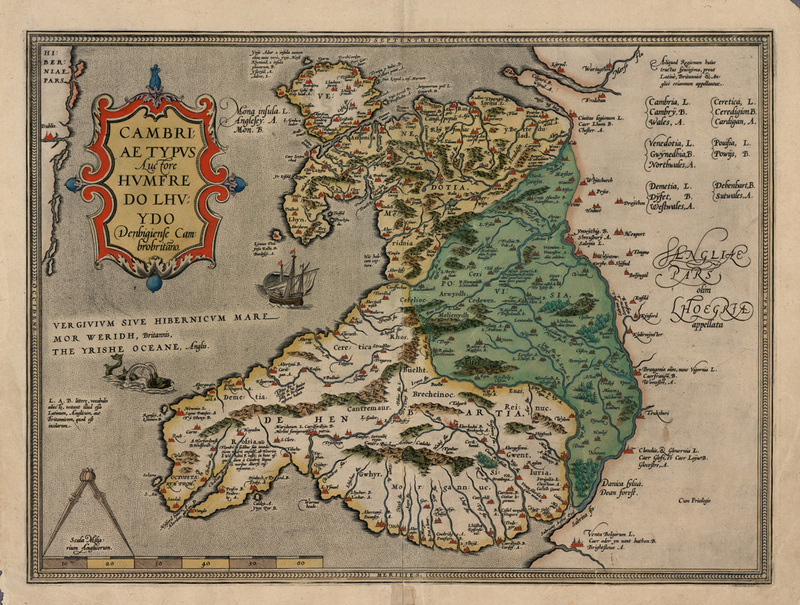 It was drawn by Humphrey Llwyd from Henllan who studied at Oxford before working with a Flemish cartographer. 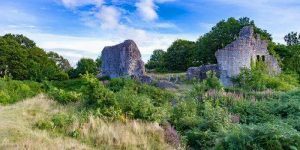 Although the map has many inaccuracies it was in use until 1741.